“Sieges have been longer, but few have been more intense, and in none have the defenders deserved greater honour than the garrison of Kohima”. The 5th – 20th April 2019 sees the 75th anniversary of one of the Queen’s Own Royal West Kent Regiment’s most intense conflicts, the Battle of Kohima. 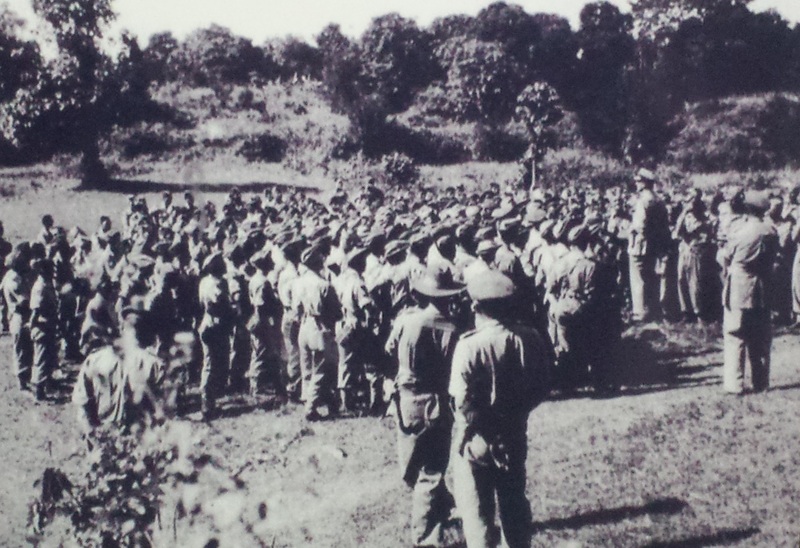 On 4th April 1944, during the Second World War, the 4th Battalion Queen’s Own West Kent Regiment arrived at Kohima, in North West India, to reinforce a small garrison of the Assam Regiment. The West Kent’s arrived just in time as on 5th April a Japanese division, numbering between 12,000 – 13,000 troops, began to assemble. 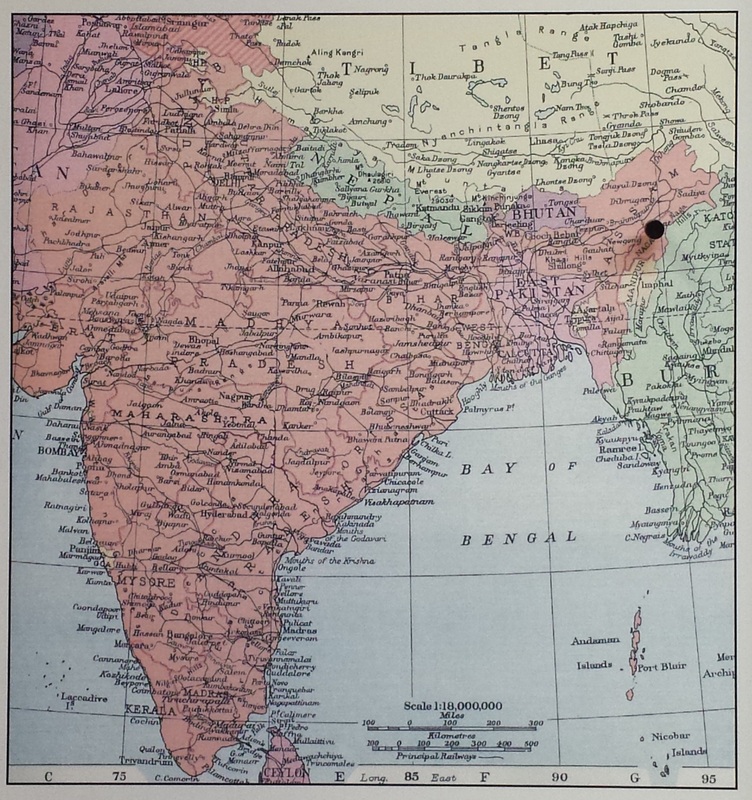 The Japanese were determined to capture this key strategic junction as it would cut off British troops from their main supply depot at Dimapur. 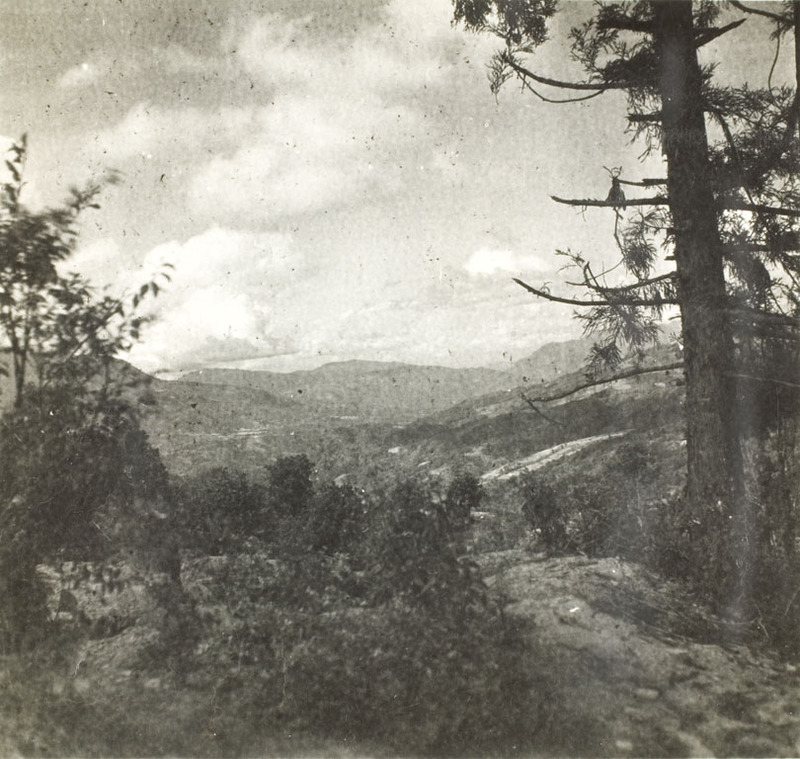 On the first night of the siege, the Japanese launched a furious attack on the position at DIS Hill and over seventy Japanese were killed in fierce hand-to-hand fighting. As the siege progressed, the intensity of the Japanese attacks never diminished and the West Kent’s continued to face determined assaults at any time of the night and day. Fighting was particularly fierce at the tennis court and on more than one occasion the position was almost overwhelmed, only being saved by the command of Major John Winstanley and the determination of his troops. Victor King was present and photographed his trench and the platoon’s area. He noted, “In March 1944, we were flown from the Arakan to North Burma, where we fought a grim battle at Kohima. These two pictures show my weapon pit, after it was blown in (note bullet marks on tree) and a general view of my platoon battle area”. Over the 15 days of the siege there were many examples of extraordinary bravery and self-sacrifice, some were recognised but many were lost in the heat of battle. 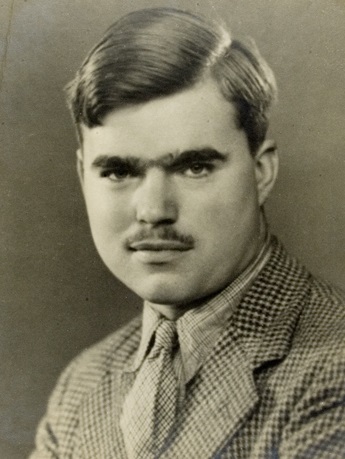 Among them was Lance-Corporal Harman who, on two separate days, dealt with enemy machine guns. On the first occasion, he crossed 35 yards of open ground towards a Japanese machine gun, overwhelming the crew with a hand grenade and then carrying the gun back to his own position. The next day he charged another machine gun, shooting four of the crew and bayoneting a fifth. Returning to his own position, he was shot in the back and died almost at once. For his great gallantry, he was awarded the Victoria Cross, which is held at the Queen’s Own Royal West Kent Regiment Museum. As the siege continued, supplies dwindled, casualties mounted and the West Kent’s suffered almost 200 men killed and wounded out of a total strength of 440. But still they held on until at last relief arrived at dawn on 20th April when troops of the Royal Berkshire Regiment broke through. The exhausted survivors of the 4th Battalion went down the hill in twos and threes. One of the greatest battles in history was over, leaving its mark on the men, and landscape. A handmade, 10 foot teak cross with the names of all 86 soldiers from the QORWK Regiment who fell at Kohima, was stood on the battlefield, and can now be seen on display at the museum as a memorial to their bravery and loss. 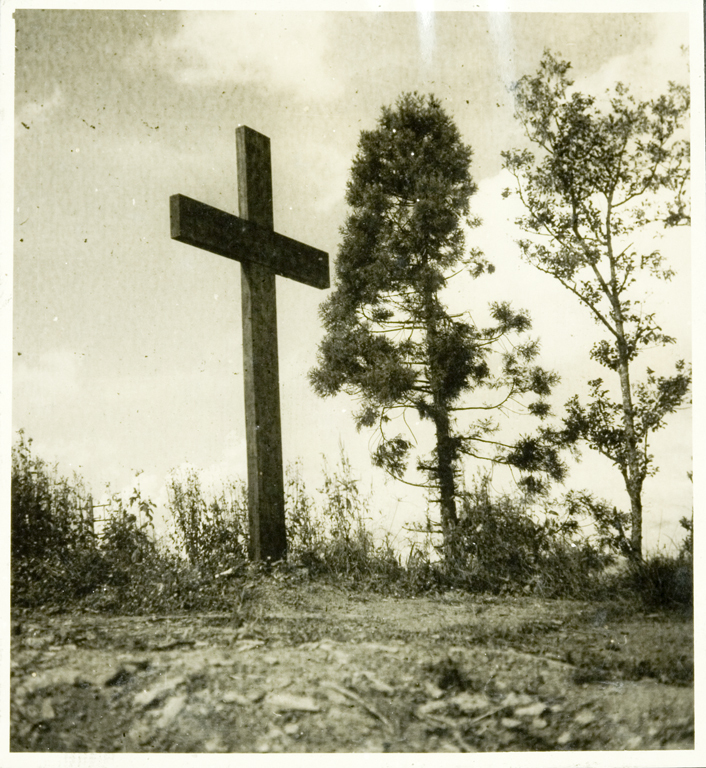 Following the battle, a cemetery was constructed at Kohima, which a number of the survivors and families of the lost soldiers visited, and over time have donated photographs to the museum.